While I was spending the month with Liz in Denver, we Netflix and Chilled a BUNCH! And it was glorious. I haven’t had time to watch hardly anything in months! I totally forgot how much I love to just sit on the couch for an evening and watch all the things! Here are the top five she helped me discover while I was there. 1. Please Like Me on Hulu. We started this one on episode two of season one, because she already watched the pilot. But from episode two on I was hooked. We watched an entire season a day! It is an Australian comedy following the main character Josh as he discovers his life as a young gay man. The writing is funny, poignant and at times so tearful. The opening credit scene is always beautifully shot and follows a neat theme. Go watch this one now. It is my new favorite thing! 2. Parks and Rec on Netflix. If I’m being honest, I avoided this show like the plague. I was so over The Office and thought it was just a rip off of it. I am here to admit it nerds. I WAS WRONG. I don’t LOL at many things, but P&R had me LOLing at every turn. The character I thought I was going to hate the most, Ron Swanson, I ended up loving the most. It was nothing like what I thought and everything I cannot wait to watch more of! 3. 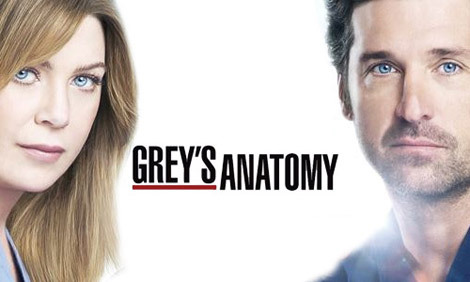 Grey’s Anatomy on Netflix. One night Liz asked if I’ve ever watched Grey’s. NOPE. Again another show I thought was over hyped. But I was willing to give it a chance. And we ended up really liking it. Admittedly we didn’t watch it as much as the previous two. But it is defiantly something we can return to on our girl’s nights! 4. The IT Crowd on Netflix. It was a few years ago that Liz told me about The IT Crowd and since then it has become a staple in my Netflix and Chilling. Whenever I can’t think of anything else to watch, need a good laugh or something comforting, I turn to my favorite trio. My favorite thing is turning new friends on to this show and spreading the gospel that is The IT Crowd. Anytime I can say “have you tried turning if off and on again,” IRL I chuckle to myself! OK nerds. Your turn! What do I need to add to my queues?! Movies, TV shows, music anything! What is YOUR favorite? Share with us in the comments below and over on Twitter for a RT. September 4th - 5 Fandom Deaths I’m Still Upset About…SPOILERS! I love Ron Swanson SO much! I was late to the party on that show too and so glad I finally watched it! 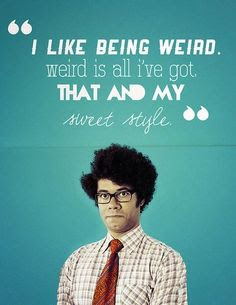 IT Crowd was definitely a late discover for me too, but it's totally one of my favorite shows now. 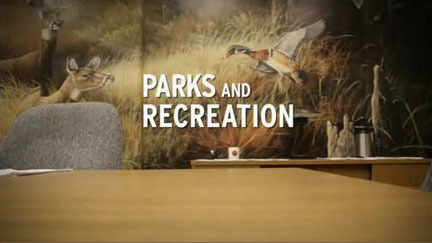 I just got into Parks and Recreation a few weeks ago. In stitches all the time!